Location: Kreuzeckgruppe, near Spittal, Austria. How to get there: If coming along Hwy. A-10, then go west on the Hwy. 100 exit and drive to the point where Hwy. 106 branches north (right). The freeway exit is 39 kilomter north of Spittal, near Seeboden. If coming from the west on Hwy. 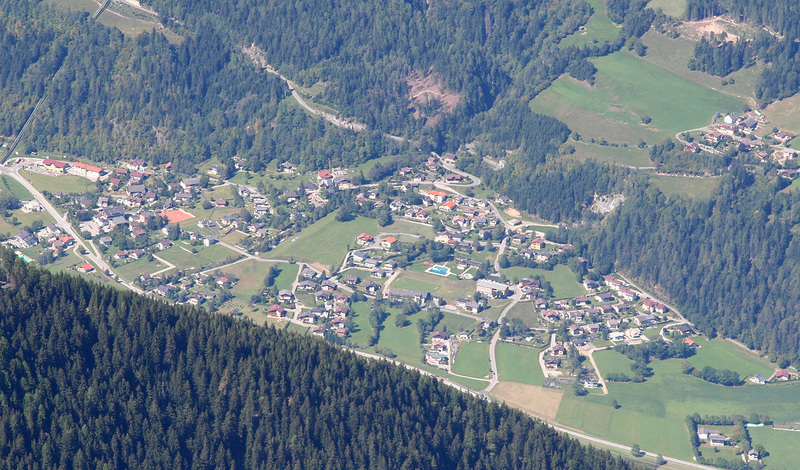 106, then go to the small village of Obervellach and pick up directions from there. Travel 20 kilometer north-west on Hwy. 106 after leaving Hwy. 100. Towards the end of this section, look for a "Spar" grocery store on your right hand side and take the somewhat abrupt exit right immediately after driving by this store. Just after exiting you should arrive just in front of the local firestation, you should also see the postal office upstairs on the building next to the firestation. 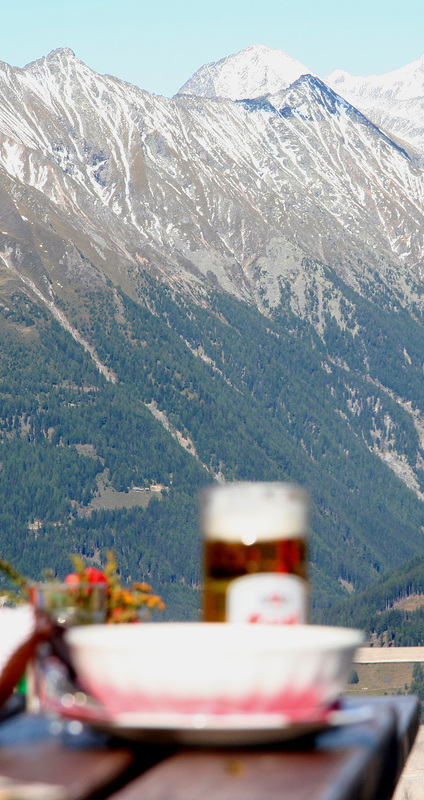 If you did not catch the proper exit, then find this location in the small village of Obervellach. There is an underpass, going from this area and under Hwy. 106 (the road you just drove on). Drive under the road via this underpass and across the river on a green bridge. Make a right turn after this bridge. Drive a straight road lined with planted trees on both sides, fork left when these trees come to an end. There should also be various signs along the way saying Polinik Hütte. About one kilometer from the firestation, the pavement ends, but the dirt road that continues is very good. After roughly another kilometer, the road forks again, the correct route again is to go left. There is a sign here saying "Zur Polinik Hütte". Another sign says "Forststrasse" (Forest Road), however inside the traffic sign that normally means "entry prohibited". It seemed, however, that it is perfectly OK to drive up this road. Drive higher with hairpin curves until the point where the road is closed by a barrier. There is a small parking area just before this point, parking may also be possible on the side of a small side road that forks right at this point. Park here, this is the trailhead, location N46:55.050, E013:11.239, elevation about 1340 meter. 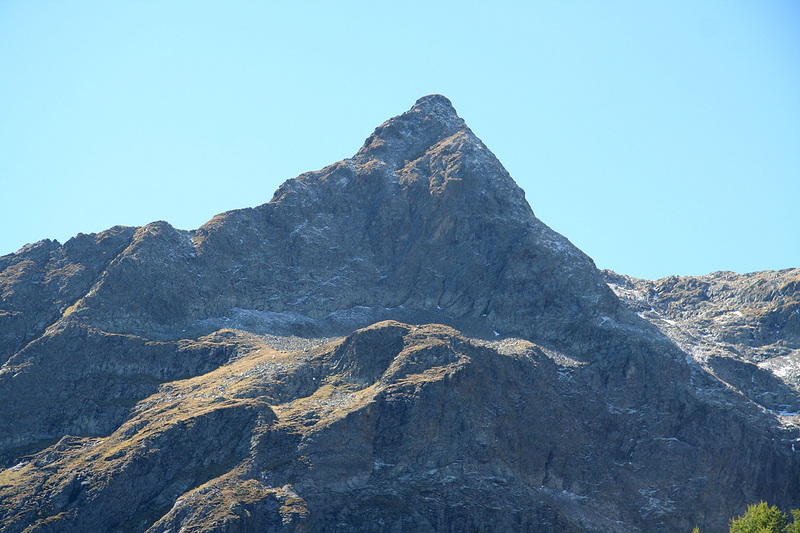 Route description: Note that there are at least two other routes to this peak, the one described here is the shortest and most direct. Head up the road, this road goes all the way to the Polinik Hütte (or Haus). However, after you reach the first sharp curve on the road (going right) and then have walked quite some way more, you will locate a short-cut (signed with Polinik Haus) going left. Take this trail, it is shorter and much nicer than the road. You will intersect the road higher up, but then almost immediately locate another short-cut trail. There are six such short-cuts, the upper ones being very much shorter and these are also unsigned, but obvious. 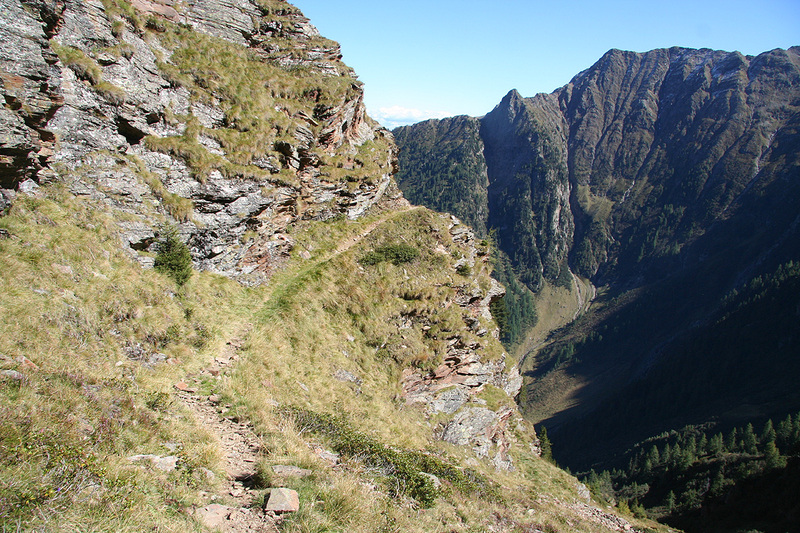 The last such trail will get you directly up to the Polinik Hütte. 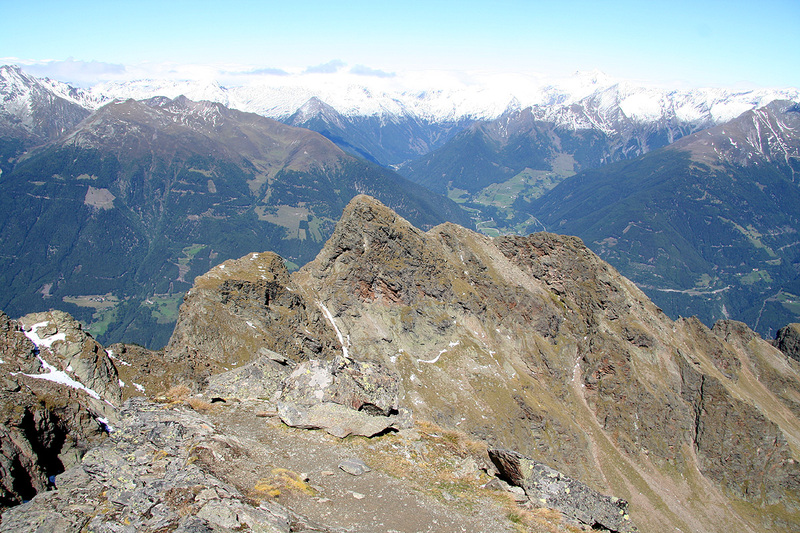 This place has a very nice view across the valley and is located at N46:54.556, E013:10.961, elevation about 1870 meter. From this nice place, head down the road for about 50 meter, in order to locate the signed trail that heads uphill to your right (when facing downhill on the road). The trail first climbs through the upper part of the forest, then comes into the open. You can immediately see the summit at the far back of a pretty large bowl coming down towards you. There is an interesting peak off to the left, it looks nice from this location, less impressive as you gain more elevation. This large bowl has small ridges coming downhill, thus dividing it into smaller "sub-bowls". The trail climbs nicely in each of these bowls, then crosses a small ridgeline in order to access a new (and higher) bowl. 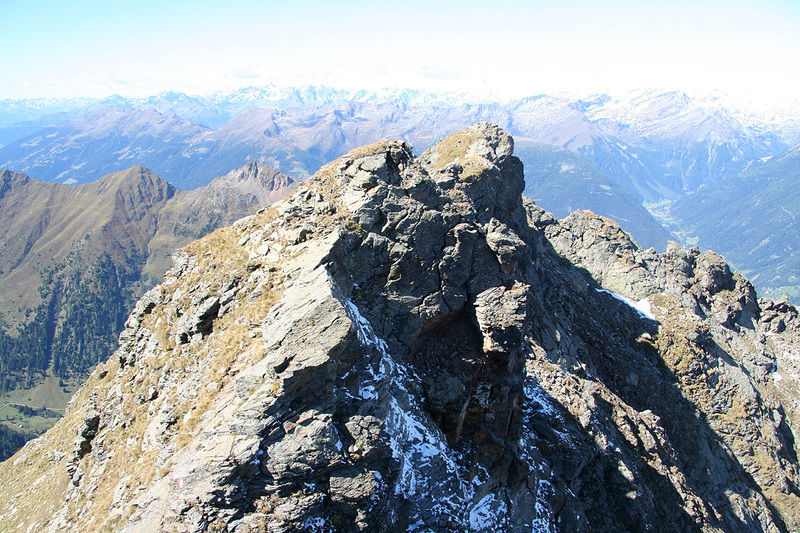 The last such ridge crossing is more distinct. Here, the trail forks, the lower trail being marked and easy, while a somewhat higher variant (with old trail markers) traverses steeper terrain. This trail, which is easy to get into, has a short section that is (YDS) class 2+, the most difficult point on the route. You may avoid this altogether by going lower and stay on the well marked trail. 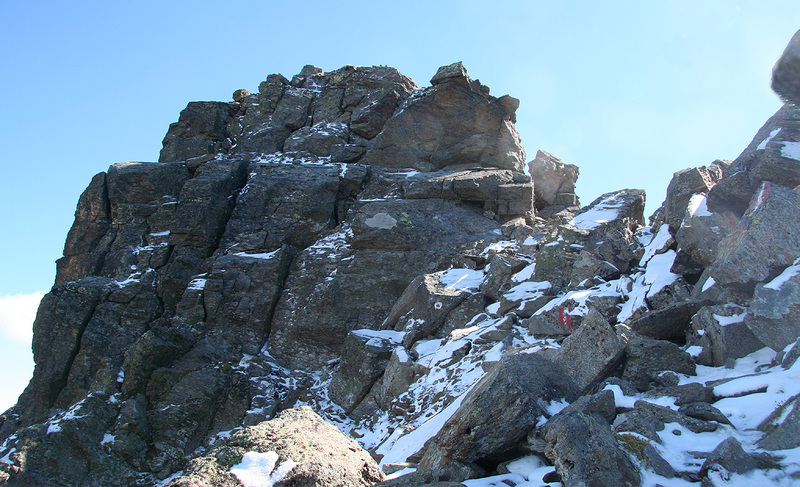 The trail now zig-zags to gain elevation, then traverses further left in order to climb the ridge above on the right side of the main summit ridge, but rather close to the summit area. The trail has been equipped with sections of cable that one may hold onto, however, this is really not needed anywhere. There is, however, more exposure here and hikers with some fear of heights may find the cables useful. 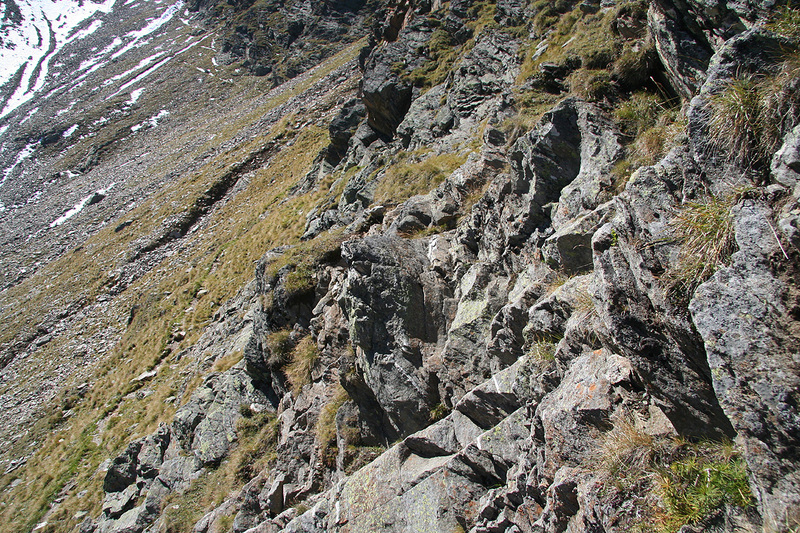 The trail eventually heads slightly right before a last, short scramble left in order to properly gain the main ridge. 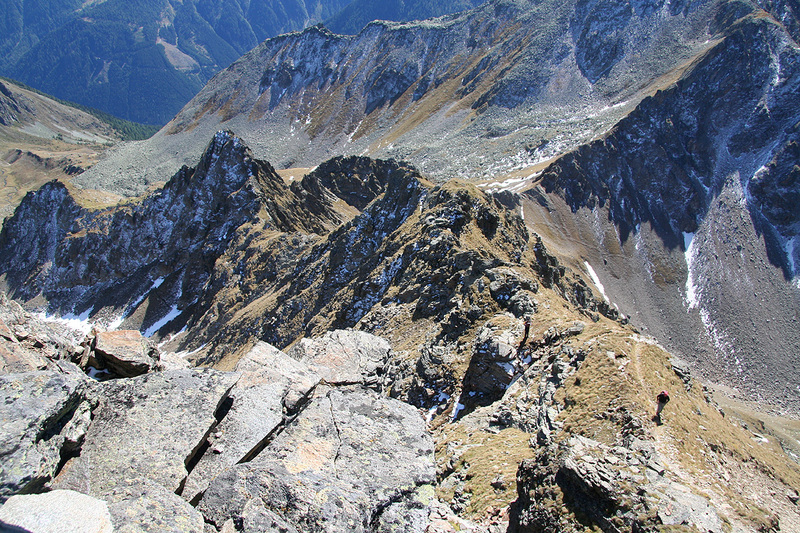 From here, the trail becomes more level as it traverses the summit ridge. 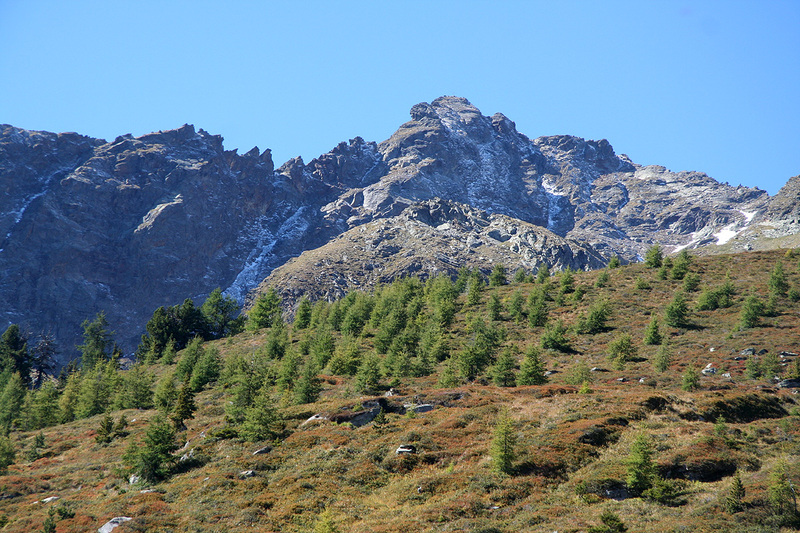 This ridge has three distinct highpoints (looking back to the other two) you arrive at the first while the summit of Polinik is located on the third and highest point. 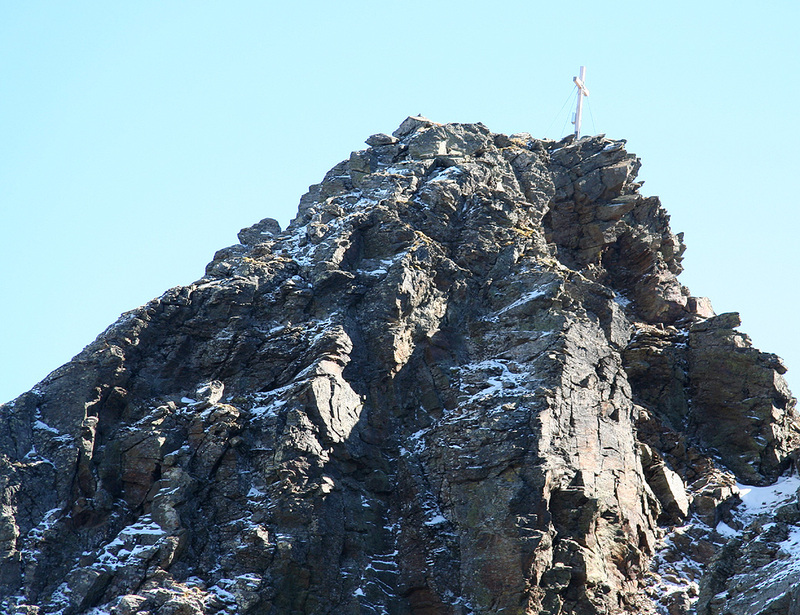 The summit has its traditional cross, this one looked brand new, most likely renewed in 2007. Comments: I left Linz around 0700 and the drive to the freeway exit onto Hwy. 100 took about 3 hours. 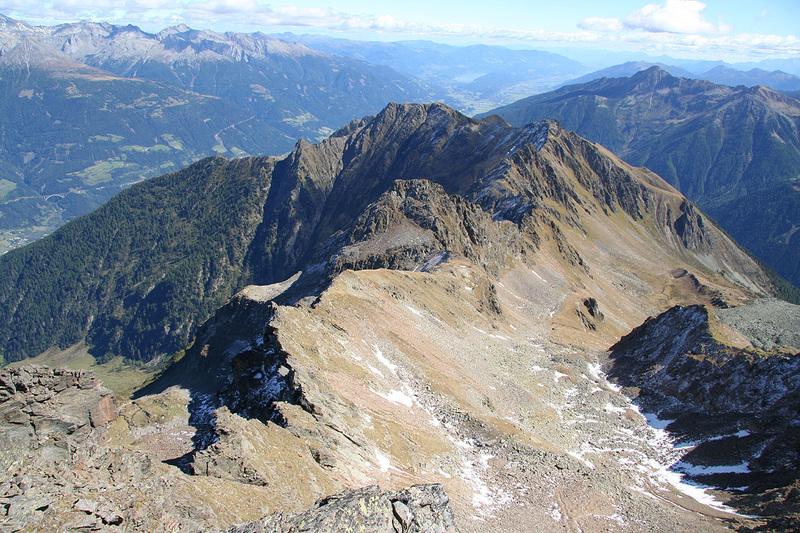 Just after Salzburg, I observed that the recent rain had deposited significant snow, even fairly low on most peaks. I had decided on this mountain largely based on the weatherforecast. The weather for Polinik was predicted to be sunny, while rain was expected further north. Near the Tauern Tunnel, the snow was almost coming down to the road, I wondered if this would cause problems for the planned project. However, after this tunnel, the weather improved quickly and by the time I exited the A-10 freeway, the sky was blue and clear above my head. I located the right forest road without problems and started walking at 1045. Reaching the Polinik Haus at 1130, I took a 10 minute break and had a nice conversation with the friendly lady hutkeeper. 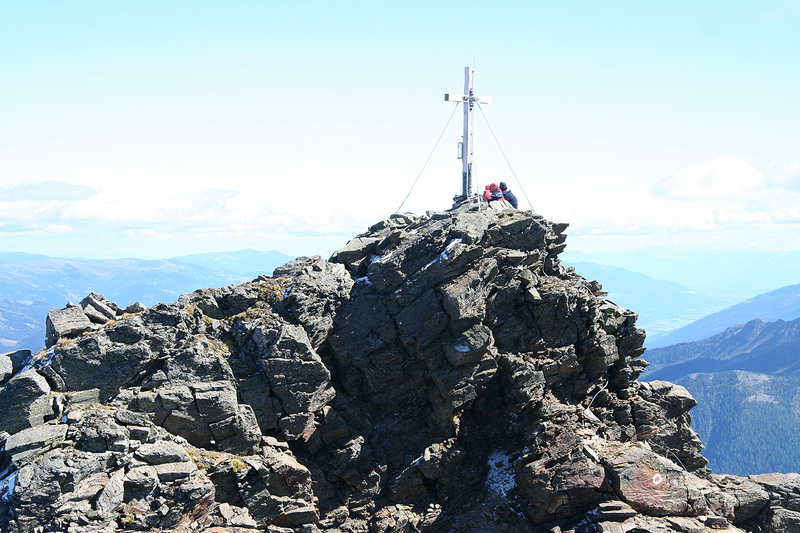 Setting off at 1140, I reached the summit in 1:35. The trail was nice and easy to follow. The last section before the ridge had patches of snow that made things slippery and some extra care was needed. Indeed, the conditions were more like (YDS) class 2+ in several places, but this was clearly caused by the snow. Fantastic view from the summit. Lots of peaks around had received their first new snow over the last several days. 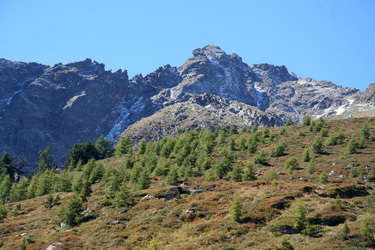 To the south, the peaks were still without snow. 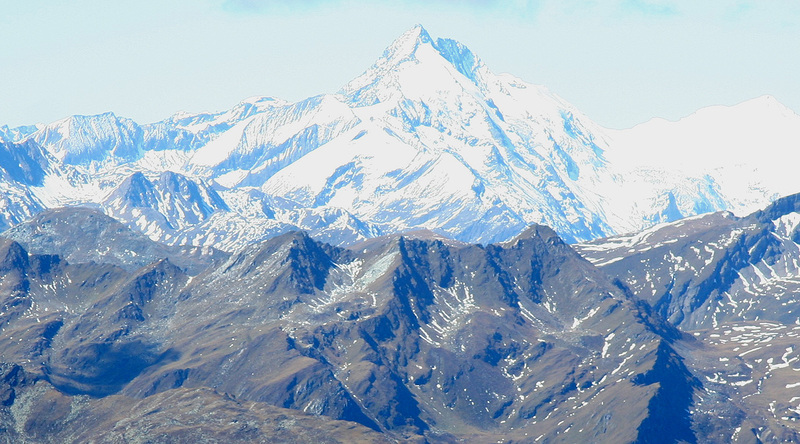 Grossglockner stood very prominent seemingly quite close. I had my small lunch, my bottle of water plus a small sandwich made at breakfast. 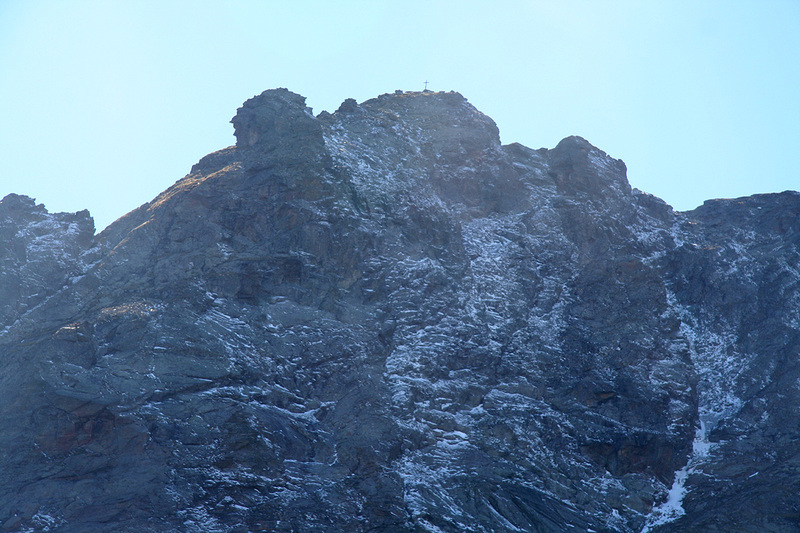 Two other climbers arrived from the opposite direction, they had used 4.5 hours on this much longer approach. We talked for a while, I was practicing my rusty German, actually feeling that I got along fairly well. Soaking the warm sun, I was sitting at the top for 30 minutes wearing only my wool (under)shirt. No wind and beautiful scenery. I left at 1345 and arrived at the Polinik Haus at 1515, exactly 1:30. The friendly lady offered a beer and a bowl of soup, just what I needed. When served, she also had added a glass of "snaps" (liquor). When I first politely declined it, referring to my car, she exclaimed: "Bei Auto, es ist alles verdunsten", or "when you reach the car, it has all evaporated". To this logic I could only accept her nice offer and I quickly emptied the glass. 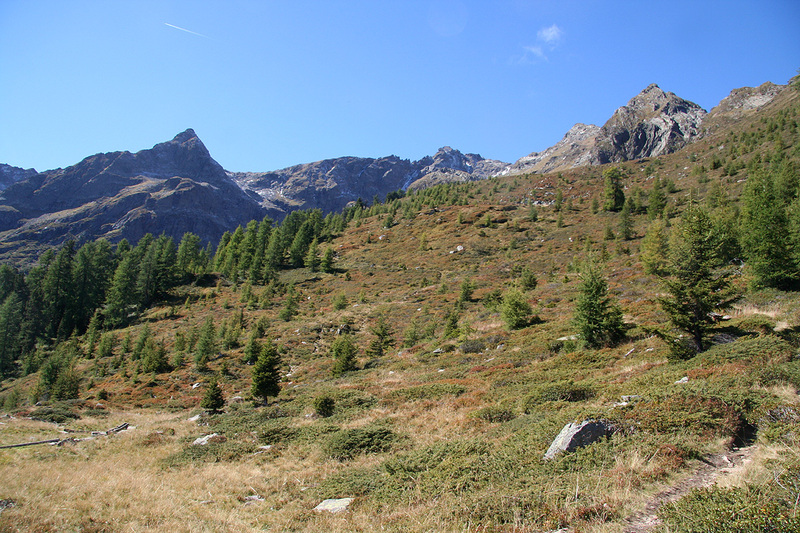 I left the hut at 1545, and reached the car at 1615, a leisurly downhill hike. This mountain was indeed a very nice experience on a near perfect day. I drove a bit beyond Graz along freeway A-2 before finding a hotel. The next morning, I needed to catch a plane in order to attend some meetings back in Norway. The summit block, a closer view.